While any business can become extraordinary, it is those that are committed to establishing best practices, developing solutions and implementing business strategies that create degrees of separation between themselves and the rest of their marketplaces that actually do. Aepiphanni's operations management practice provides hands on direction and expertise to help you get the greatest return on your resource investments. Operational excellence is a strategic advantage that results in companies running more efficiently, with lower costs and higher profit margins. We can work with your company to push through the difficult challenges of creating and implementing the changes required to reach operational excellence, from setting up and training on business management software solutions such as Work, Etc. and Zoho, to going to sales meetings and helping you close your next deal. Our success comes from your success. Our goal is to help you CREATE | DESIGN | BUILD an extraordinary business. Our clients have consistently reported their appreciation of the operations support and guidance we have provided them with, knowing that our services have been fundamentaal to their strategic planning and growth. 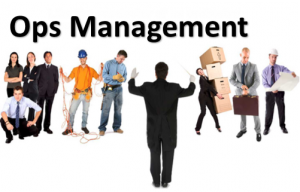 Learn more about our Operations Management practice on the tabs below. More of a do-it-yourselfer? Why not get your business operations assessed and a blueprint to move your company forward. Learn more here. "Don't work for the money; make the money work for you. The decisions we make in our businesses are driven by how we manage our finances. Finances enable us to hire employees, launch marketing campaigns, purchase raw goods and pay our bills. Essentially, it is the life-blood of the business, regardless of whether you are a for-profit or not for profit entity. As a result, financial management and financial planning allows you to make the best purchasing decisions for your business with the understanding of how you decisions will impact your ability to do business. Financial management doesn't simply say that you want to be a multi-million dollar company, but rather, how you will earn it and how long it will take. We have years of experience setting up accounting systems and processes, developing financial models, assisting with financial planning to help our clients get the pursue strategies that help them increase their cash flow and grow their businesses. Want to learn more? Explore the tabs below. If you are are ready to get started, contact us. "If you want your customers to become raving fans, you've got to invest your resources into giving them every reason to do so." The way your business earns revenue is only part of the equation. Figuring out how to spot opportunities to exploit with your business's unique capabilities or its ability to develop the skills and capabilities to offer them will help you make waves in the marketplace. Sales and Marketing - the direct interaction with your customer base to let them know about your company, its products and services, create interest and desire and getting them to take action and purchase what you offer. Customer Value Chain - looking at every opportunity you have to give your customers a unique and memorable experience while creating real value for them. This starts with the messaging developed in the sales and marketing teams, through the products that are developed and offered to the business model and ends with customer relationship management - after the sale. If you want your customers to become raving fans, you've got to invest your resources into giving them every reason to do so. Want to learn more? Click the button below. Your team is what enables your company to develop, sell and deliver its products and services day in and day. As a result, your team's productivity makes a direct impact on how well your company runs. When team members are fully engaged, your company will be able to take advantage of great levels of return on your investment. Alternatively, lower morale tends to yield poor results. Our work in Team Performance is focused on helping business leaders work with their teams to help them build high-performing teams. Whether you have a single employee or dozens of teams, an investment building and growing your team or teams will give you an advantage. You will employees that are committed to the work, seek to do their best, go above and beyond what is necessary and won't be there simply for a paycheck. Learn more about how we can help you and your company build high performing teams by clicking below. "Your company is only as good as the last meal that was served." In the restaurant industry, every operator knows that a single bad meal will change a customer's opinion of their restaurant. Therefore, a smart restaurateur will ensure that every product that leaves the kitchen is of the same, predictable quality. This is why chain restaurants and fast food restaurants invest so much into making sure that a customer in Beijing will have the same experience as one in California. Sadly, this is also why restaurants may struggle if a chef with a particular style leaves their restaurant. A great product starts at the development level - when it is simply an idea or a concept. It must go through a number of stages to ensure that it can be manufactured and priced so that the company earns profit from it and potential customers will purchase it. Finally, the product is marketed, launched and receives ongoing feedback to ensure that it meets or exceeds your market's expectations. How was your company's last offering? And the one before that? Was it the best you could do? Is it exactly what your customers were looking for? Are you producing it as efficiently as possible without reducing the product quality? These and many more questions go into helping you build and offer products and services that will keep your customers coming back, enable your company to enter new markets or make it attractive to investors who might have the resources to purchase your product and take it to the next level. We help business leaders create extraordinary businesses. Find out how we do it.